Researchers have discovered a new monitor lizard on the remote island of Mussau, which has a turquoise or blue-pigmented tail, and a pale yellow tongue, a trait that it shares with only three other known species of Pacific monitors. The lizard is the only known large-sized predator and scavenger on the island, and is separated from its closest relative by several hundreds of kilometers of open sea, study says. Researchers have named the lizard Varanus semotus, referring to its isolated existence on Mussau Island. On Mussau, a remote island of the country of Papua New Guinea, biologists have discovered a new species of monitor lizard with a turquoise or blue-pigmented tail. The lizard also has a pale yellow tongue, a trait that it shares with only three other known species of Pacific monitors. So far, the blue-tailed lizard — more than a meter in length — is the only known large-sized predator and scavenger on the island, according to a study published in ZooKeys. This suggests that the lizard most likely has an important ecological function, the authors write, making it of particular conservation concern. 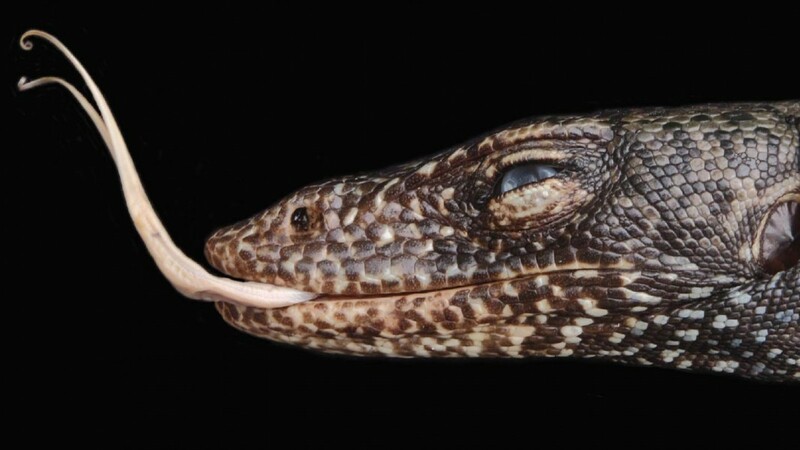 “The new species is unusual as it fills a role normally occupied by Mangrove monitors on isolated Pacific islands and it can well be considered a biogeographical oddity,” the authors add. Profile of the female holotype of the new Varanus semotus. Photo by Valter Weijola. Valter Weijola, a graduate student from the University of Turku, Finland, and his colleagues, who discovered the monitor lizard during field surveys in 2012, have named the lizard Varanus semotus, referring to its isolated existence (semotus is Latin for distant or remote). In fact, V. semotus is separated from its closest relative by several hundreds of kilometers of open sea, and has most likely been isolated for around 1-2 million years, or even longer, the team found. Currently, V. semotus is most likely restricted to the coastal strip of Mussau, the authors write. “Searches in the secondary growth forest of the interior of the island and in the mangrove forests near Palakau did not produce any observations,” they add. The team speculates that the lizard may have once been abundant throughout Mussau. But large scale logging activities could have destroyed their habitat. The relatively under-explored islands of Papua New Guinea could be home to many more species waiting to be discovered, the team adds. 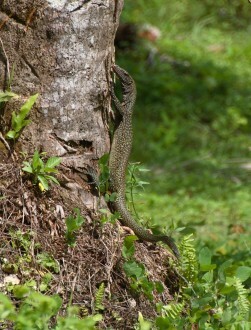 For example, Varanus semotus is only the third new monitor lizard to be described from Papua New Guinea since the 1990s. 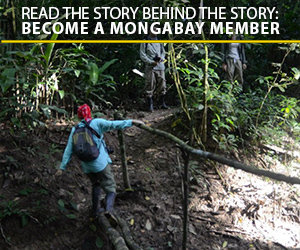 “These islands are full of unique creatures often restricted in distribution to just one island or island group,” Weijola said.